In a secluded valley in Iceland, Gummi and Kiddi live side by side, tending to their sheep. 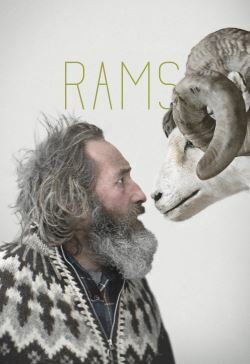 Their ancestral sheep-stock is considered one of the country's best and the two brothers are repeatedly awarded for their prized rams who carry an ancient lineage. Although they share the land and a way of life, Gummi and Kiddi have not spoken to each other in four decades. When a lethal disease suddenly infects Kiddi's sheep, the entire valley comes under threat. The authorities decide to cull all the animals in the area to contain the outbreak. This is a near death sentence for the farmers, whose sheep are their main source of income, and many abandon their land. But Gummi and Kiddi don't give up so easily - and each brother tries to stave off the disaster in his own fashion: Kiddi by using his rifle and Gummi by using his wits. As the authorities close in the brothers will need to come together to save the special breed passed down for generations, and themselves, from extinction.